I don’t think most people know what to do the day after a funeral. What, after all, are we supposed to do? We have shaken hands at the funeral home. We have closed the casket. We have stood at the cemetery. We have eaten the sandwiches and drunk the coffee. We have done what it is that we do. And then there we are – with the rest of our lives stretching before us, and it is the first real day of a new everything. There are, of course, things to keep us busy. We can return the casserole dishes to the people who made us meals. We can drive the family to the airport. We can do paperwork. We can try not to think about what we did the day before. Not to think of bodies and caskets and cemeteries. Of burials and tombs and stones between us and our loved ones. We can try not to focus too much on the long road ahead – a road without the one we love beside us – and what that road will look like for every day to come. I remember the day after my sister’s funeral. I remember crying every time I saw her picture. I remember not wanting to get out of bed. I remember how badly I wanted to talk to her about her funeral, and debrief all the details she had planned so thoughtfully. I remember the overwhelming heaviness of realizing I would never be able to talk to her again. I wonder sometimes what it was like for Jesus’ disciples that Saturday, the day after Jesus’ was buried. Did they think about him hanging on the cross, and resting in the tomb? Did they lament the mistakes they made? Did they worry what they were going to do next? Did they feel frightened? Lonely? Scared? Lost? Saturday is a hard place to be, after Good Friday. Of course, we know something that the disciples didn’t, us people of Saturday. We already know what happened the Sunday after Good Friday. We know there is more to the story. On this Easter Saturday, I wait for tomorrow. It is no longer Good Friday, and it is not yet Easter Sunday. The sermon is written. The chocolates are purchased. The church is ready – and I’m waiting. Because it is Saturday. In many ways we all live in Saturday. We are waiting. We are people of the in between. We have been through the Good Fridays, and we look forward to Easter. But we still have to wait. We have to wait because it is still Saturday. That’s a Saturday truth. Saturday is hard. Saturday is exhausting. But, more than anything, Saturday can be long. For some of us, Saturday can last years and years. One of the things that overwhelms me most is to think of the rest of my life without my sister. I know that I will miss her when I wake up tomorrow and I will miss her 30 years from now when I am filing for my old age pension. There may be a long Saturday ahead of me. And I say “Amen” even louder. Maybe, instead, I’ll just keep whispering to myself. I think the other thing that gets whispered to us is this – that the Saturdays are not nearly so intense, not always. We can hear the whisper and remember Emmanuel, God with Us. It’s not that the Saturday goes away, but it is the continuance of Thursday, of Friday, Abide with Me. The missingness never really goes away, with Emmanuel, the presence, the sharp knife pain can become a dull ache, then a smaller emptiness, manageable but always present too. With Friday comes “Eli Eli lama sabachthani”, Saturday a return to waiting, and more Abide with Me. But, as our Saturdays go on and on, the comfort of the spirit and the promise of a Sunday still to come make it just a little easier – for you, for me, and for our broken world.Without that, what’s the point of trying to go on through the overwhelming loss we all experience, and the broken lives we all must live? overwhelming – but Sunday is coming!!!! Leanne – you are a brave lady and have done a fantastic job sharing your deep feelings of grief and sadness only one year since your beloved sister Roxanne died. 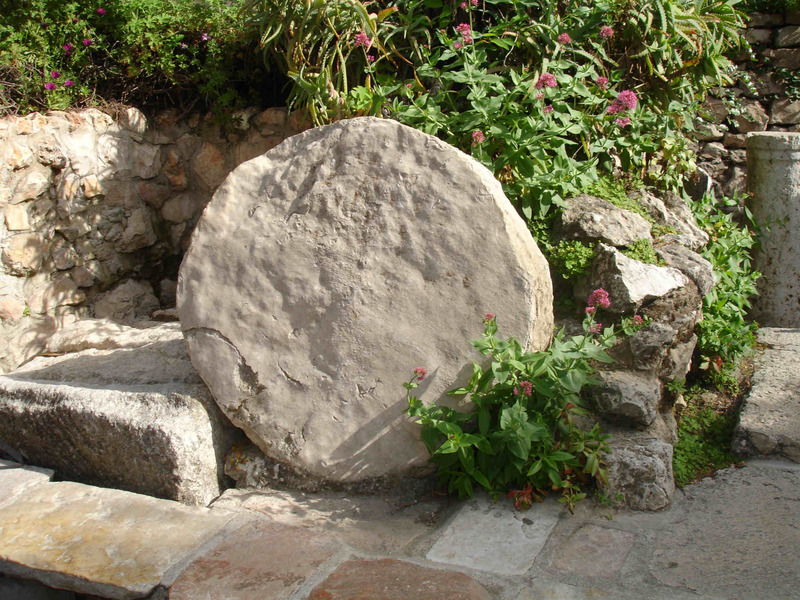 Yes, this has been a difficult week for you but your faith and courage has given you strength to move beyond this sorrow and allowed you to celebrate with joy this Easter, Jesus’ resurrection and promise of eternal life. Indeed, you have been a source of inspiration to all who have read your blogs.